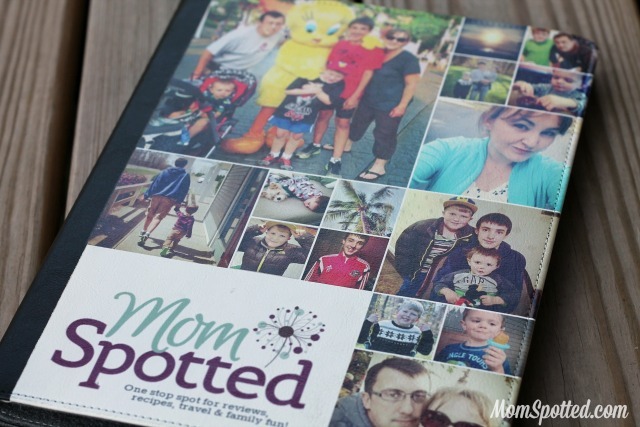 Personalize your iPad with the Collage Squares Folio-Style Case from Shutterfly! 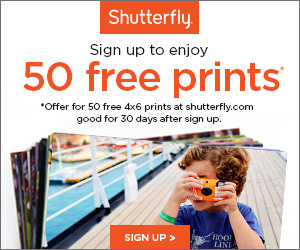 I’m a huge Shutterfly fan. I make a monthly purchase and I’ve been pretty good about getting my photos printed since Sawyer was born. I’m always checking out what they have to offer for family gifts and products for myself. I love what they can do with my photos and the quality is always amazing! My iPad case was getting old and worn and I wanted to replace it. I saw they made these awesome personalized covers with all these different options on arranging your photos I knew I had to make one! So, when I was offered the opportunity to order one I jumped at it! The code I received was for any cover. 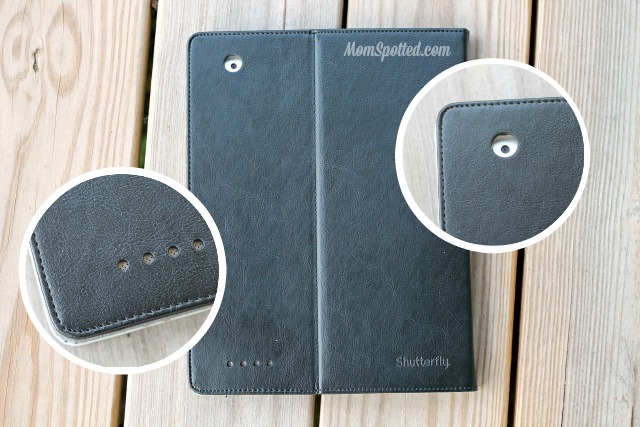 Shutterfly sells covers for iPads 1,2,3 Air, and mini. I loved the Collage Squares and loved how all but one images to make it with were all square meaning I could use all my Instagram photos. I love love love how Shutterfly lets you upload your photos from your Instagram account because it makes using all my favorite photos super simple! I actually played with the design over and over again, changing pictures in and out. I always bring my iPad on blog events and really wanted to make sure that it didn’t just represent me personally, but professionally too! I loved how my logo fit and I was then able to use the same photo I used on my business card along with my whole family on it. In the end it was perfect! When it arrived in the mail I was thrilled. The description doesn’t state what material it is but it’s nice like leather. The quality is amazing! The photos and the bright colors all transferred beautifully. Even the colors of my site stayed true to color. The stitching along the edges is done nicely and just makes it feel even nicer. I love that I can still mount it up to watch tv shows. When I traveled to NYC I watched netflix while I worked in my room and this was perfect! The back is all black and is the same great quality as the front. The case still accommodates the camera and even has small holes at the bottom for better sound too. It has a magnetic closure that works well. It will turn it off and when you open the cover it will turn on on it’s own. It even has a reinforced spine for added protection too! I totally fell head over heels for this iPad case and just adore how it came out! The quality is amazing and I can’t wait to gift one this holiday season! 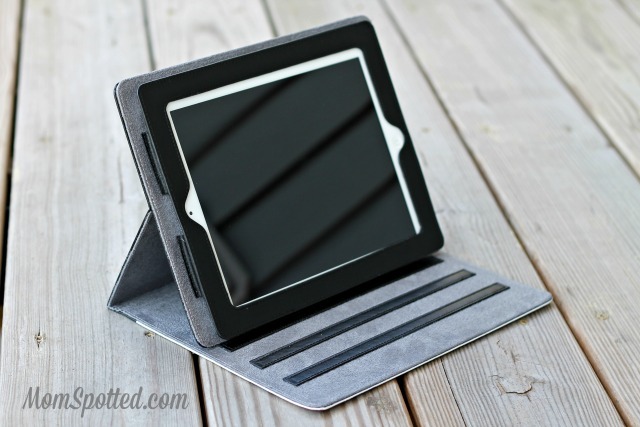 The iPad cases only cost a small bit more than the regular cases that can’t be personalized! I highly recommend visiting Shutterfly and making your own iPad case! By the way, if you haven’t tried their quality they offer 50 Free Prints to new customers! I definitely didn’t know they made those folios. That is so good to know, and I love the squares in the collage too. Your fam is too cute! I love this!! I wish they had the option for an android tablet case too. Oh I really like the case you made. Very cute! I also like that it fits so well (all the holes lined up, etc.). Yes, this would make a great holiday gift for someone! I didn’t realize they made personalized iPad cases! I love ordering from Shutterfly though, as their products are always high quality. I’ve gotten Christmas cards and birthday invitations there several times! We still have the original iPad. But we have been talking about selling it and getting a newer one or iPad mini. This cover is PERFECT. I love Shutterfly. I use them every year for Christmas gifts for family. Now this is awesome! I totally need to do this for my iPad mini. What a great case! 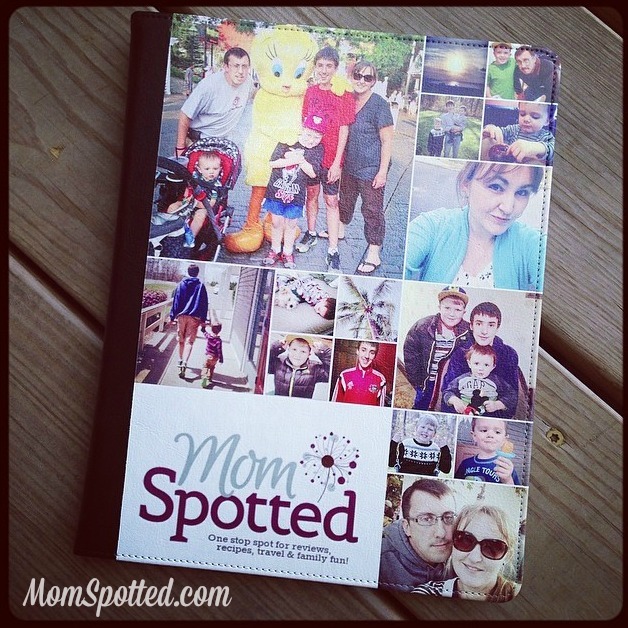 I love the items that Shutterfly has to offer! I love the personalization! I wish they could something like this for a Microsoft Surface Pro 2 tablet. Wonder if I personalized my case if my children would get the hint that it’s “mommy’s” iPad and leave it alone? lol No? Didn’t think so but still off to see what pics I’d use for one. Perfect Christmas present for extended family as well. Neat! I’ll have to see what other cases they do! I love this! It’s so cute and looks well made! This is so fun! I only had a magnetic case on our ipad and the boys recently shattered the screen. We need more protection on it and this looks like great protection with some personalization. I really like how yours turned out. That’s neat! Cool how you added your blog Mom Spotted on it. It really looks great! I am always bad at these things as I can never make up my mind as to what photos I want to use. Ohhh I need one for my mini!! Love love love love love! I love this! I didn’t know that they even made something like this! I want one! That is a nice case. I love shutterfly! What a great idea! I love shutterfly!